It is not surprising that more and more people find themselves turning to an HGH therapy clinic to restore the vitality and sense of well-being that time may have taken away from them. Aging is a fact of life, and it is certainly better than the alternative – but it is how your body and mind are aging that is important, both to you and everyone else in your life. How you age is also important to us here at Greenberg Health. Our growth hormone therapy clinics help men and women across the US restore balance to the body’s network of delicate hormone levels. It is this balance that makes it possible for you to live every day to the fullest. Why should you turn to an HGH treatment clinic for hormone replacement instead of asking your family physician? Reason #1: Hormone replacement is a medical specialty that requires detailed knowledge of why and how to balance hormone levels. The majority of general practitioners do not have this training. Reason #2: It is not always easy to recognize the symptoms of hormone deficiency as these changes could also be signs of other medical conditions. A hormone specialist knows what to look for and what tests to run. Reason #3: Contacting a hormone replacement therapy (HRT) specialist can save you the time and expense of not running other types of diagnostic testing. Hormone deficiency is determined by blood analysis. Reason #4: You do not want a misdiagnosis or treatment that will not work. Getting to the root of the problem and correcting it by balancing the body’s hormone levels will often solve many problems. What Are the Options for an HGH Therapy Clinic? Some people have no idea where to turn for help with their hormone levels. After being told by their doctor that these changes are just natural signs of aging, they are often likely to give up or turn to over-the-counter herbal remedies that may or may not work. At HGH replacement therapy clinics, you will never hear that you should get used to the changes brought about by aging. Getting older does not mean your body has to break down, or that you must accept forgetfulness as a fact of life. National HGH Clinics – Greenberg Health is an example of a national hormone replacement clinic that offers a higher degree of privacy than at a local office. We provide an abundance of information online, offer telephone consultations and easy email answers to your questions, local diagnostic testing services, and affordable treatment options. What you save is an abundance of time and money that would have otherwise been spent sitting in a waiting room and paying for office appointments. Another benefit of a national HGH therapy clinic is that the doctors often have more experience treating hormone deficiencies since they work with adults throughout the US. Local HGH Clinics – a local doctor’s office does have its benefits for individuals who want to be able to meet with their health care providers face to face on a regular basis. In some medical centers, you can get your testing, examination, and medications all in one place – although often at a higher cost. How do you choose which type of growth hormone therapy clinic is right for you? Do I want to keep my situation and treatment confidential? If so, choose a national HGH clinic. Do I want to sit down with a doctor to discuss my options in person? If so, choose a local office. Do I want to save as much time and money as I can? If so, then Greenberg Health is the right decision for you. If you want a local doctor, then you have the option of asking your own medical provider for a referral, although many may not know of a physician who specializes in hormone replacement – or may not even believe in this treatment at all as a way to treat the signs of “aging.” You can look online, or ask others for recommendations, or you can call us and ask about an HGH therapy clinic near me. 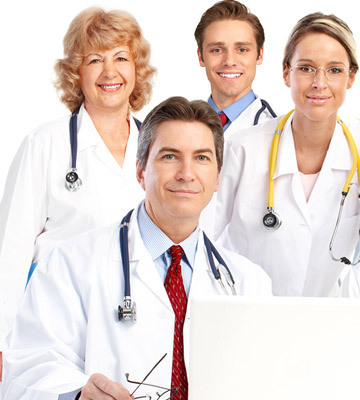 We will do everything possible to help you find a doctor that meets your needs. Please contact us at our HGH therapy clinic for a free consultation to learn more about our hormone replacement services for men and women throughout the US.